The final stages of non-fermentative protein digestion are carried out by a wide array of brush border and cytosolic peptidases. A review of the brush border and cytosolic peptidases of the small intestine has been conducted by Alpers (1994). The small intestinal peptidases are capable of splitting products of pancreatic digestion (i.e. oligopeptides of six or less amino acids). 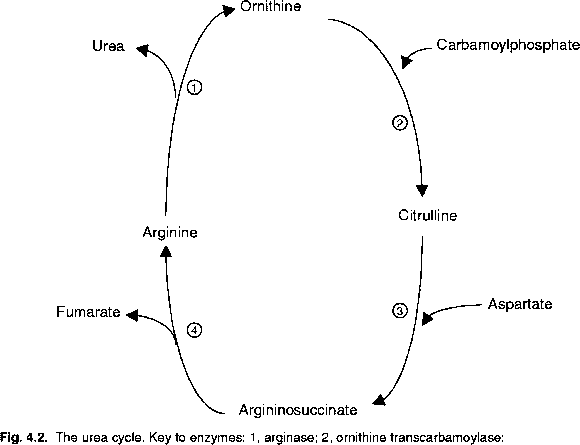 These enzymes are present in the enterocyte in two groups that are associated with different cell fractions, the apical membrane and the cytosol (Kim et al., 1972, 1974). The apical-membrane enzymes are attached to the outer surface of the microvillus and extend out from the luminal surface of the enterocyte. In contrast, the cytosolic enzymes are found within the cell and do not make direct contact with the luminal contents. As such, these two groups of enzymes are distinct from one another, differing in location and physicochemical and immunochemical properties (Kim et al., 1972; Noren et al., 1977; Tobey et al., 1985). In addition, the apical enzymes seem to be unique to the small intestine, whereas similar cytosolic peptidases have been found in a number of tissues. Many di- and tripeptides are absorbed intact and cleaved within the enterocyte by cytosolic peptidases. In mammals, as much as 90% of the total mucosal peptidase activity for dipeptides, 40% of activity for tripeptides, and 10% of the tetrapeptidase activity is associated with the cytosolic fraction (Sterchi and Woodley, 1980); therefore, the capability of cytosolic enzymes to hydrolyse oligopeptides with more than three amino acids appears to be limited. It should be noted, however, that the distribution of peptidase activity between the apical membrane and cytoplasm varies considerably with species and has been dependent on substrates used for the assay (Sterchi and Woodley, 1980). Oligopeptides of four to six amino acids in length are split to shorter peptides and free amino acids by apical microvillus membrane peptidases, whereas many di- and tripeptides are potential substrates for either apical membrane or cytosolic peptidases (Alpers, 1986). Therefore, membrane hydrolysis of peptides with subsequent absorption of amino acids, and transport of peptides followed by intracellular hydrolysis can occur. However, little is known about the importance of control of apical and cytosolic enzyme activity in relation to amino acid and peptide transport, or if location of specific peptidases along the longitudinal axis of the small intestine corresponds to specific amino acid and peptide transport proteins (Ugolev et al., 1990).